Stainless shank with two lock nuts and lock washers. 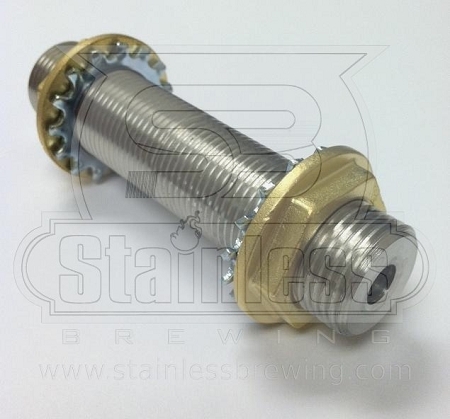 These are great for Jockey Boxes and running lines through kegerators. Inner diameter of shank is 5/16" x 4" long.